The Eaton snap ring, also known as a constant section ring, is known for having a wide wall with proportioned thickness. They are typically rectangular wire created with carbon spring steel or stainless steel. Our Eaton snap ring selection includes internal and external rings, and features a variety of gap styles. Remember, if you do not see what you need below, you can create a custom snap ring design. We frequently manufacture custom snap rings for our customers in short and high volume with shockingly fast turnaround time. 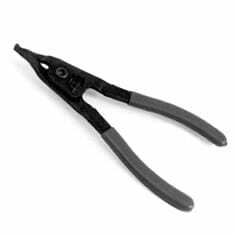 Arcon Ring also has various snap ring pliers in stock for internal & external needs. Contact Arcon Ring today for assistance with determining the best snap ring for your application today!